Fantasy Tribal Skull Coffee Mug And Tankard | BUDK.com - Knives & Swords At The Lowest Prices! 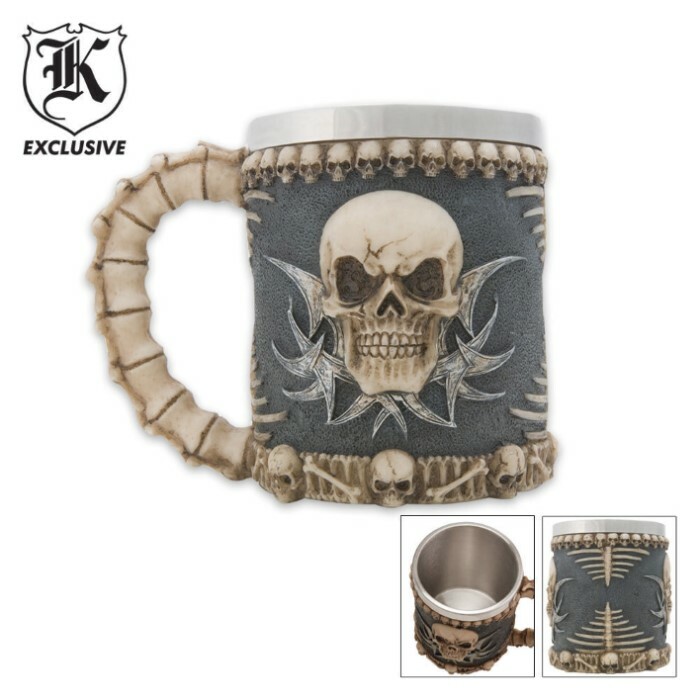 The highly detailed tribal skull and bones design of this mug will make you look fierce whether you're drinking your morning coffee or a frothy ale. 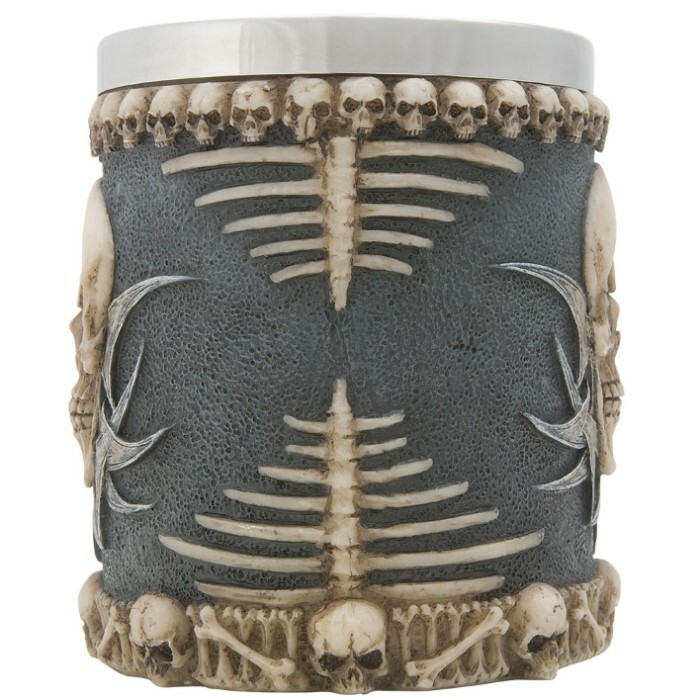 It's sculpted intricately of cold cast resin so that it will last for years and years, giving you plenty of good use out of it. 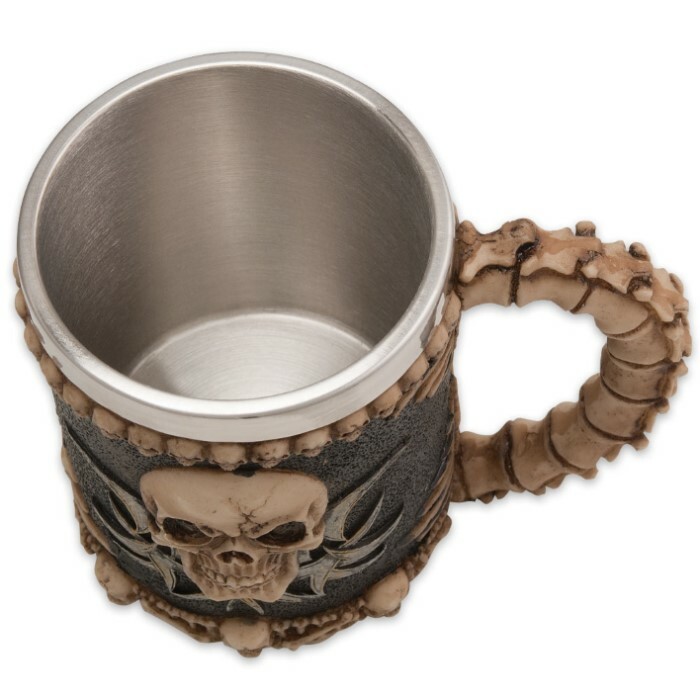 The rust-resistant, stainless steel liner will keep your beverage perfectly hot or cold. This makes for a great coffee mug. Now people know that I'm serious about messing with me before my coffee time.